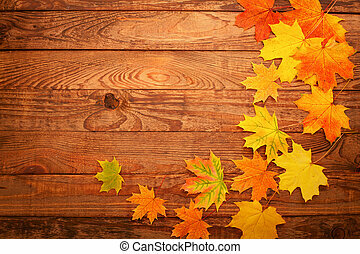 Autumn falling leaves and wooden table. 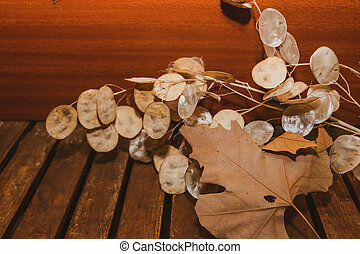 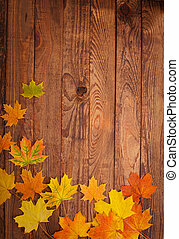 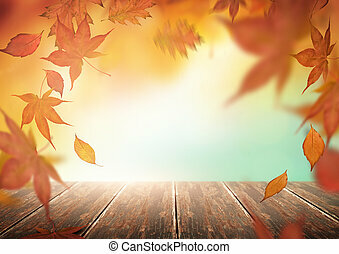 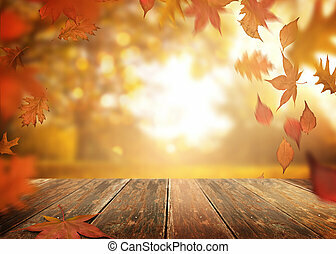 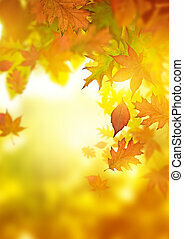 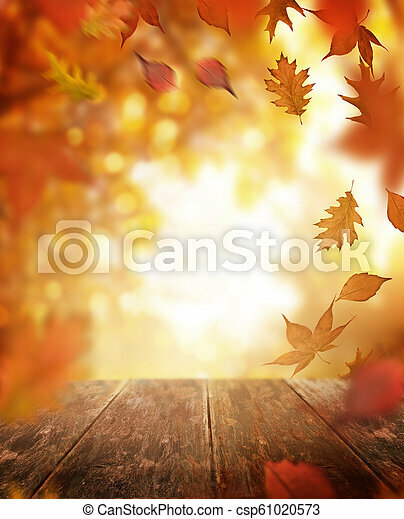 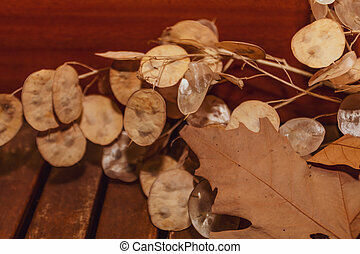 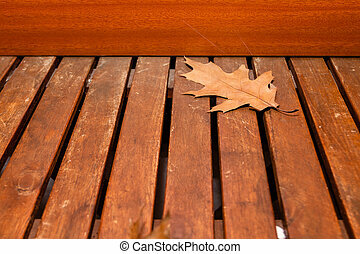 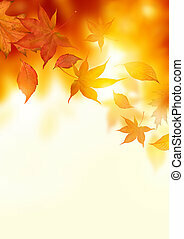 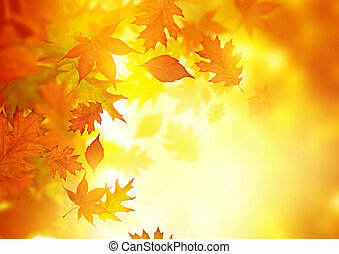 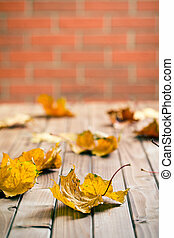 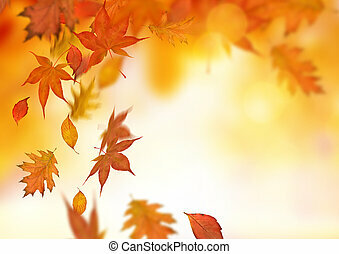 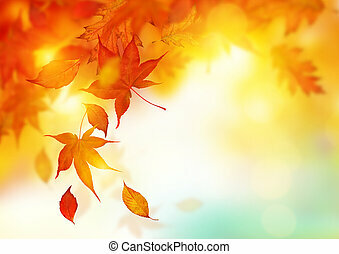 A rustic old wooden table outdoors with autumn leaves falling in the background. 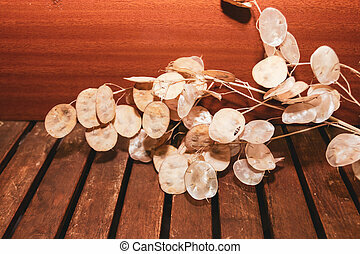 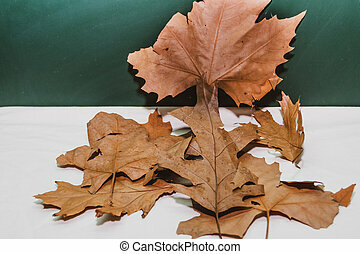 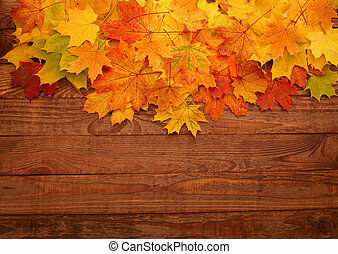 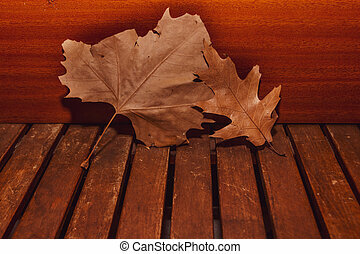 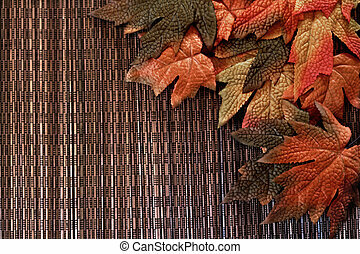 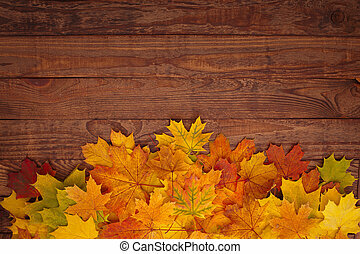 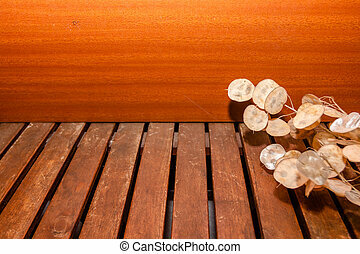 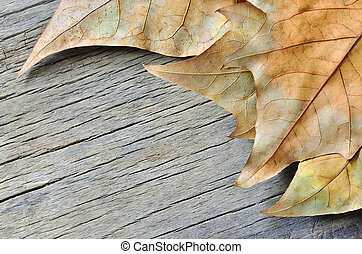 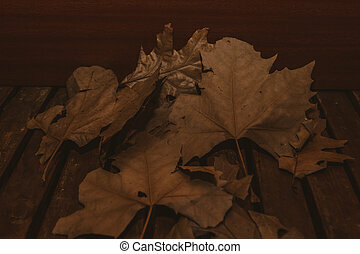 Autumn leaves on a wooden table. 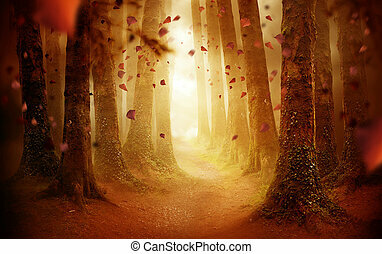 A tree lined pathway leading into a autumn coloured forest with falling leaves as the sun shines through. 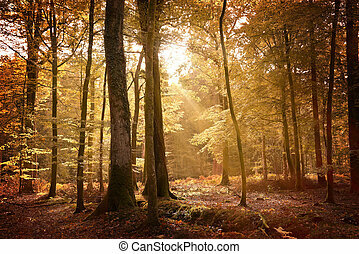 Photo composite.